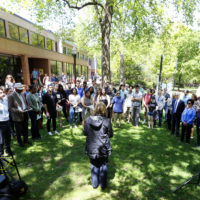 Vanderbilt University is partnering with EdAssist to administer the university’s tuition benefit programs. EdAssist is a leading provider of education solutions, offering an online self-service portal that provides a comprehensive, streamlined and efficient way to coordinate tuition benefits. While processes will change, the plan design rules (eligibility, coverage percentages, etc.) will not. Historically, the university processed tuition benefit requests for faculty, staff, spouses and dependent children through manual paper processes. 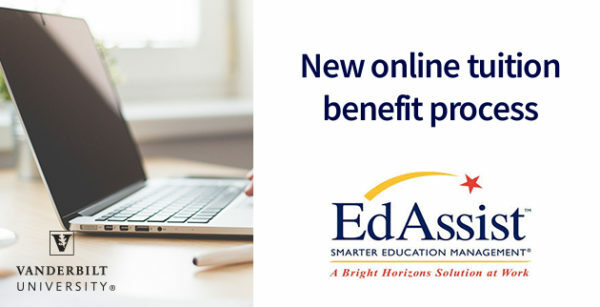 The implementation of EdAssist will allow tuition benefit participants to apply for tuition benefits online. 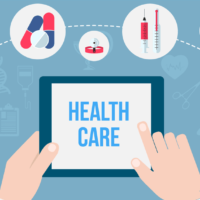 The EdAssist portal provides 24/7 access for faculty and staff members to check application statuses, submit required documentation at their convenience, and experience greater efficiencies in processing. When will EdAssist become available? Aug. 21, 2018: For faculty and staff enrolled outside of Vanderbilt (for fall 2018 reimbursements*), to access the EdAssist Portal click here. *Paper applications already submitted for fall 2018 courses at outside institutions will be returned to the applicant; applicants instead should submit an online application to EdAssist by Sept. 21. Visit the Tuition Benefit Programs page for more information.